At Blue Ridge Eye Care and Family Vision Care you will receive an eye examination probably unlike any you have had before. We do so much more than just check your vision and prescribe glasses. Our exams are extremely comprehensive and use state-of-the-art equipment. We find that our extensive use of technology and highly trained staff allows the doctors to spend more one-on-one time with our patients and catch any potential disease at its earliest stages. Visual field screening - aids in the detection of Glaucoma, Macular Degeneration, Stroke, Tumors, and other neurological problems. Intraocular Pressure Check- Checks the pressure of inside of the eye; Screening test for Glaucoma. Meibography- a scan/photo of the oil glands in your eyelids. To aid in the evaluation of Dry Eye Disease. 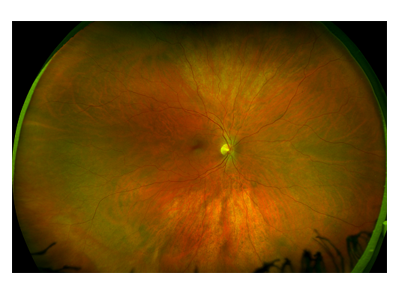 Retinal Photos (photos of the back of the eye) - taken with a high resolution wide field digital camera. This allows the doctor to discover and follow retinal disease such as Glaucoma, Macular Degeneration, Retinal Detachments, Diabetes, Nevi (freckle of the retina) and many others more precisely. Refraction (Check of the glasses prescription)- Checked twice for accuracy. Complete Biomicroscopic Exam- of the outer and inner eye to check for diseases such as Dry Eye Disease, contact lens complications, Cataracts and others-Our microscopes are equipped with cameras to aid in monitoring conditions of the front portion of the eye. Dilation to aid in the examination of the retina (the back of the eye). Contact Lens Fitting - Contact lens fittings though a separate examination with a seperate set of fees in most cases can be completed the same day as your exam for convenience. What to Expect Upon Arriving! Upon your arrival, our receptionist will welcome you as a member of our practice. If you haven't already done so online, we will ask you to complete a few forms. This paperwork provides us with your health history and other information related to providing you with the most comprehensive examination. To fill out the appropriate paperwork, please visit our New Patient Center. The Doctor and Technician will review any current or past vision problems, your general health, medications as well as discuss your hobbies and lifestyle requirements to better tailor the examination to your needs. Why did the Receptionist ask for both my Vision and my Medical insurance cards? Certain eye or health conditions require that we file with your medical insurance. For example, a yearly diabetic eye examination is monitoring a medical condition in the eye and thus is to be filed medically. Vision insurance was designed to cover “Routine Visits” which under their definition does not include medical conditions affecting the eyes. Even if the examination must be filed to the medical insurance due to your medical condition you can still utilize your vision insurance for glasses or contact lens purchases! Pupil dilation is not always necessary. The doctor will make this decision during your examination. If required this procedure will aid in the diagnosis and monitoring of conditions affecting the back of the eye. Most drops utilized at our practice will generally not affect your vision beyond the day of your examination and most individuals experience no significant issues driving after dilation.